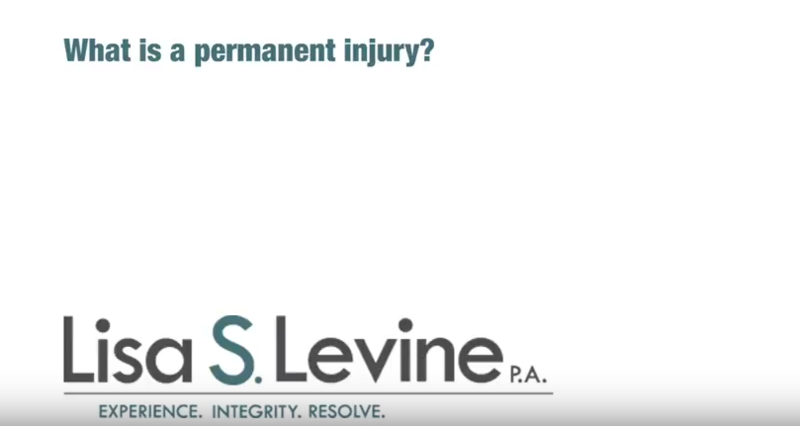 In many auto accident cases, the passenger receives the most severe injuries. With little time to react and a complete inability to do anything to prevent an accident, passengers are at the mercy of forces beyond their control, sometimes at the hands of multiple offending parties. Not only are passengers in danger of another driver’s negligence, they also have to contend with the reckless actions of the driver sitting next to them. Fortunately, passengers have extensive legal rights and can pursue litigation against any party whose negligence caused your injuries. No matter who was responsible, it is important that you work with a qualified Fort Lauderdale passenger injury attorney to hold the offender accountable and demand compensation. As a victim, it is easy to feel powerless. Without the ability to influence events, this is the natural reaction — but it does not have to be the case. 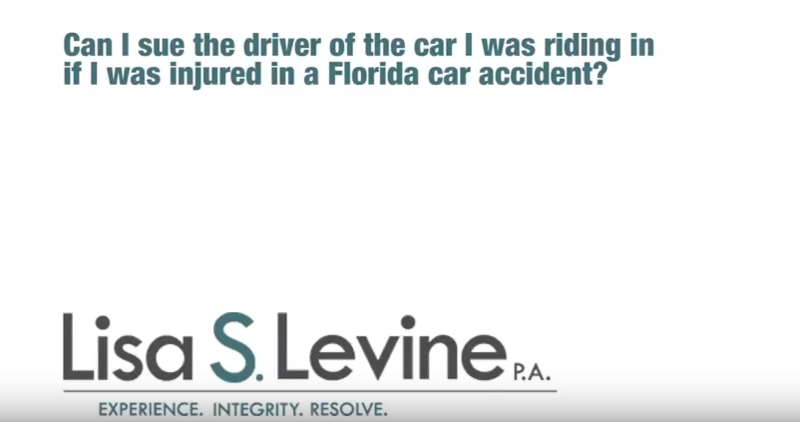 Our firm, Lisa S. Levine P.A., is dedicated to providing a voice for the victims of automobile accidents. We are a full-service legal practice that has been representing passengers injured in car accidents for several years and has a long record of achievement. We work on a contingency basis, meaning we only collect attorney fees if you collect on your case. Dedicated to providing timely and efficient representation, we will immediately begin researching your case and developing a strong legal argument following a free initial consultation. These meetings will allow you to discuss your personal injury claim in detail, while also going over the possible legal avenues that could be taken. To schedule a time to meet with one of our attorneys in a relaxed and judgment free atmosphere, please call (954) 256-1820 or send an online message today. Our firm is conveniently located in Broward County and proudly represents clients throughout Weston, Fort Lauderdale, Davie, Sunrise, Tamarac, Pembroke Pines, Pompano Beach, and nearby areas. No matter the severity of your case, we will help you hold the negligent driver accountable for their actions. Significant and permanent loss of an important bodily function. Permanent injury within a reasonable degree of medical probability, other than scarring or disfigurement. Significant and permanent scarring or disfigurement. $10,000 in personal injury protection. When a passenger is injured while in a car accident, regardless of who is at fault, they have a right to file a claim with the driver’s insurance company. 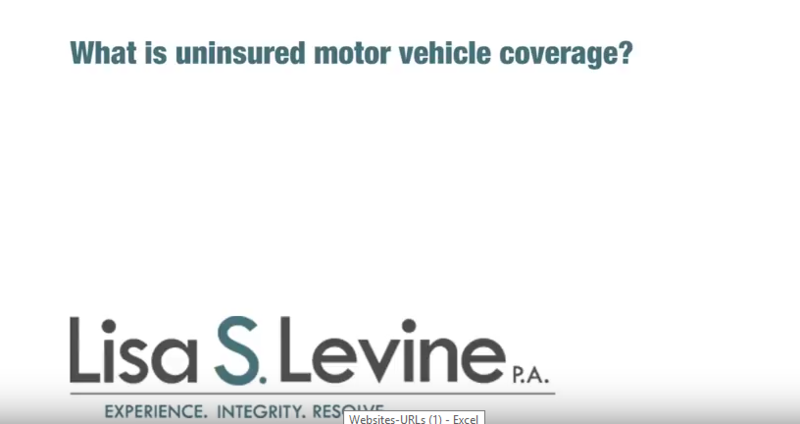 If the passenger owns their own vehicle or resides with an adult relative who owns a vehicle, their personal injury protection (PIP) coverage will cover their own injuries. If not, they can file a claim under the insurance policy that insures the car they were riding in. In certain instances, the passenger can file a claim for benefits from the at-fault driver’s insurance company. There are exclusions when it comes to passengers claiming benefits from another person’s personal injury protection coverage. This will be the case if the passenger uses a car without permission, contributes to the injury, causes harm to themselves purposely, while committing a felony, just to name a few. Insurance providers will take every opportunity to deny coverage, and passenger injuries are a notoriously complicated claim. Having the proper legal counsel will allow you to approach insurers with confidence and demand compensation without getting the runaround. If you or a loved one has been injured in an automobile accident while riding as a passenger, our firm can help you receive the compensation you deserve. 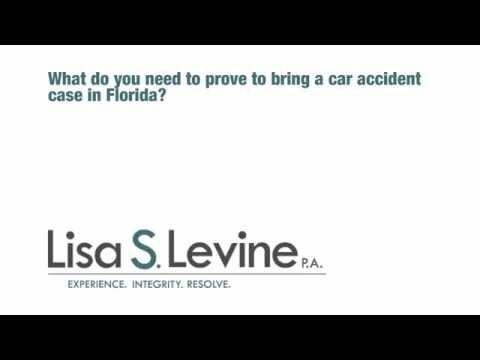 Florida has complicated laws regarding car passenger and insurance, so having a knowledgeable and experience attorney can make a huge difference in the outcome of litigation. 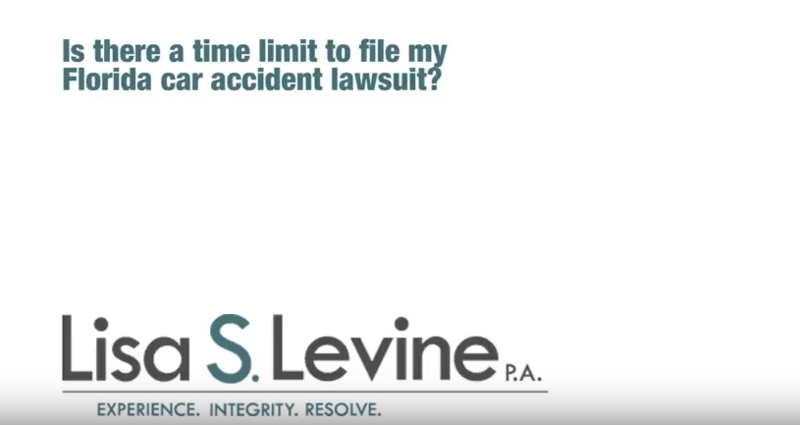 At Lisa S. Levine P.A., we can take control of your personal injury case and hold the negligent party accountable for their actions, be it the driver in your car or the other party. We will take advantage of the legal understanding that we have gained through several years of passenger injury litigation and create a strategy that proves negligence and forces the offending individuals or insurance companies to pay their fair share. With meeting locations in Fort Lauderdale and Weston, we are a convenient location for individuals throughout the region, including the cities of Tamarac, Margate, Plantation, Sunrise, Deerfield Beach, Pompano Beach, and Miramar, among many others. 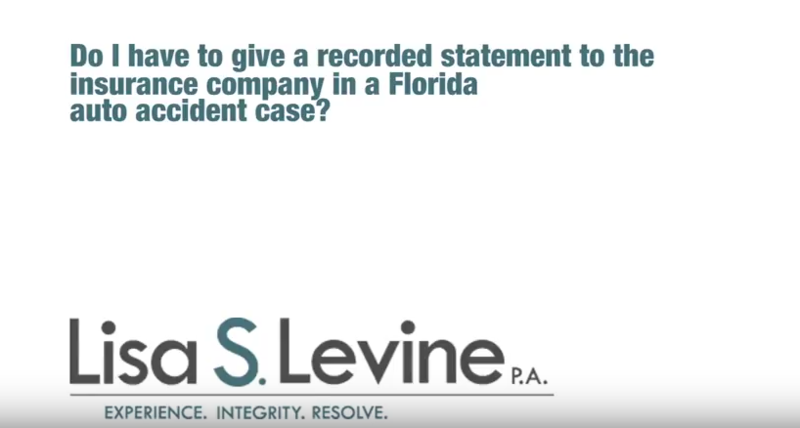 We offer free consultation to go over your case, so call 954-256-1820 or send an online message to go over the details of your case with one of our attorneys today.